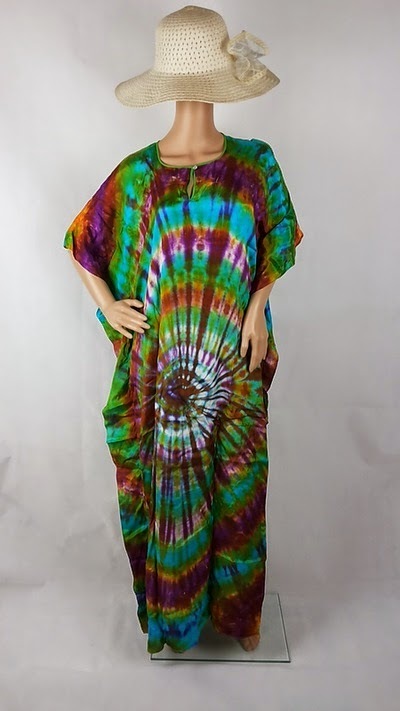 Although the tie dyes techniques is widely used for other type of clothing such as t-shirts and such, it is relatively new for batik kaftans. It is refreshing to see that manufacturers are now experimenting new ways to produce batik kaftans.. from the classic tjanting techniques, brush, silk screen and now also inclusive tie dyes. As you can see, these Malaysian batik kaftans using tie dyes techniques have vibrant colours on them. I specifically love the green one.. yeah, a bit loud but attractively striking. These batik kaftans also have the retro feel to them.. a bit of 70s hippie boho flavors. Hoping to stock more of them soon. For more our batik kaftans varieties, click here!